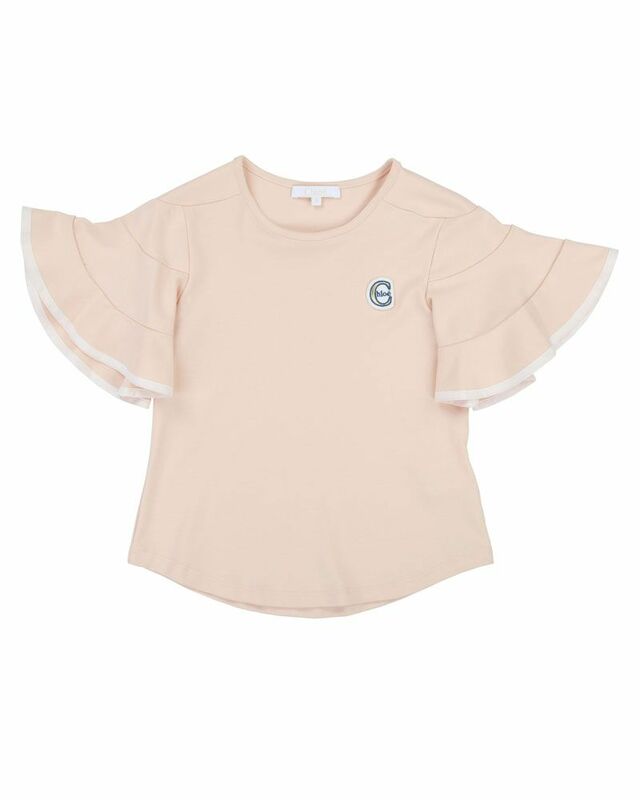 Chloé soft cotton interlock pink tee shirt with over sized ruffled sleeves and embroidered "Chloé" patch. 100% Cotton. Imported.